I was just cleaning up my desktop and came across a snippet I had saved which removes a specified folder from a Git repository including removing it from the history of the repository. In general, if something was committed to a repository, you shouldn’t remove it from the history, but there are cases where it makes sense – perhaps a sensitive password or key was unintentionally commited. In the example above, I removed the default .idea folder that is included with JetBrains IDEs like IntelliJ and Pycharm. Looking for Tasker Integration or Widgets for SmartThings? You are headed in the right direction. Checkout the Android app SharpTools for additional information. A summary of my findings with the Stick-N-Find stickers and their usability as an iBeacon / Bluetooth LE proximity device. 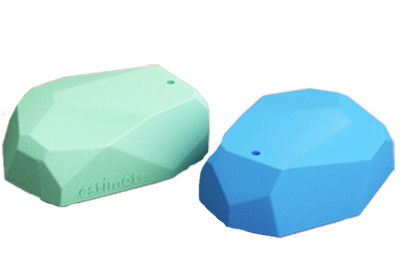 I ordered a set of Estimote Beacons and Stick-N-Find stickers and have been playing with automation concepts within Android. In particular, I wanted to be able to have my Android device understand the proximity to a location and have a general understanding of indoor positioning. I recently started working with the integrated Version Control System (VCS) features of PyCharm and accidentally pushed my IDE / PyCharm project settings to my Google Code hosted Git repository. Basically, all of the files in the .idea folder of my project were pushed to the repository. While these files didn’t necessarily contain any proprietary or confidential information, I didn’t want them cluttering up my project repository. And while I could have simply removed the files and performed a commit, these files would have then been in the history of my repository. It should be noted that the command will overwrite existing tags and that if you had sensitive information in the files (like passwords), you should consider the information compromised and take appropriate action.